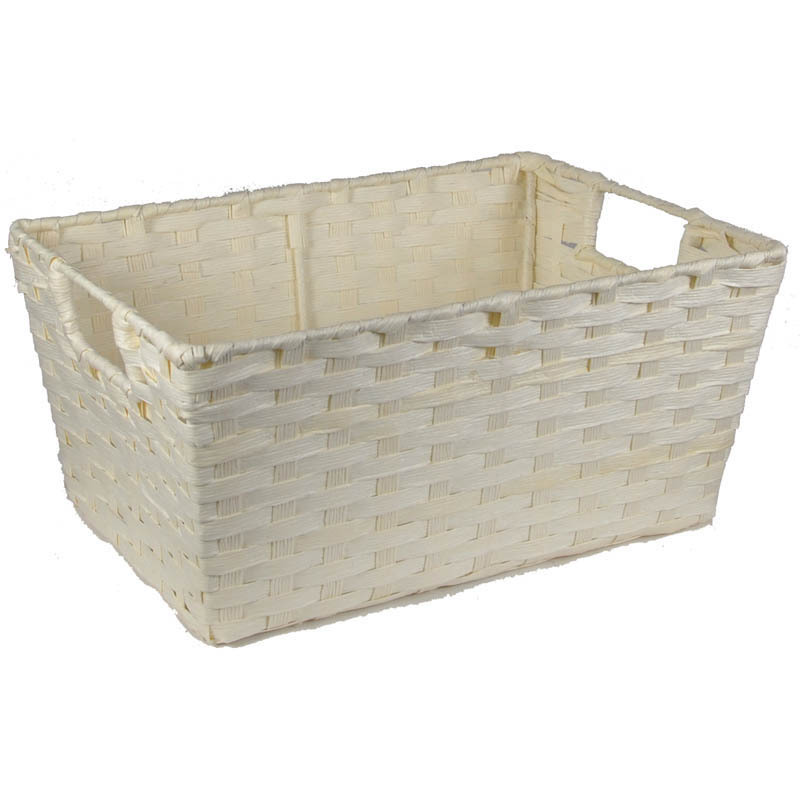 Rectangular Paper Fiber Storage Basket Wholesale In-Handle - Small The Lucky Clover Trading Co. 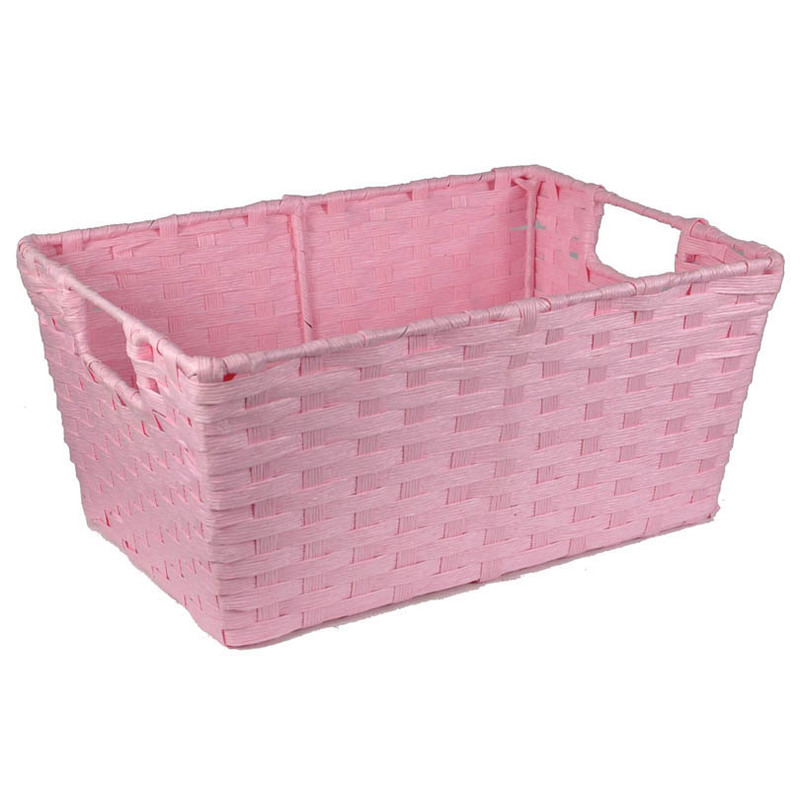 I received my baskets promptly, and I love them. They are a beautiful pink and well made, very appealing. I am very satisfied with them. My only complaint is the outrageous price they charge for shipping. Other than that, I am very happy with everything else. I am making gift baskets for my daughter's bridal shower. 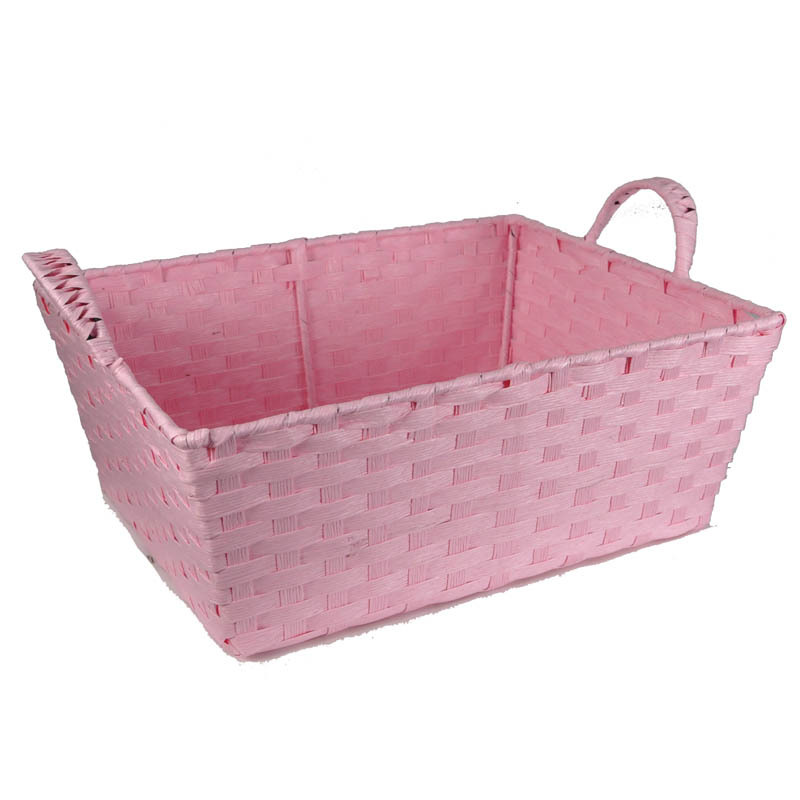 The baskets and price are great. So much cheaper than a flower arrangement. 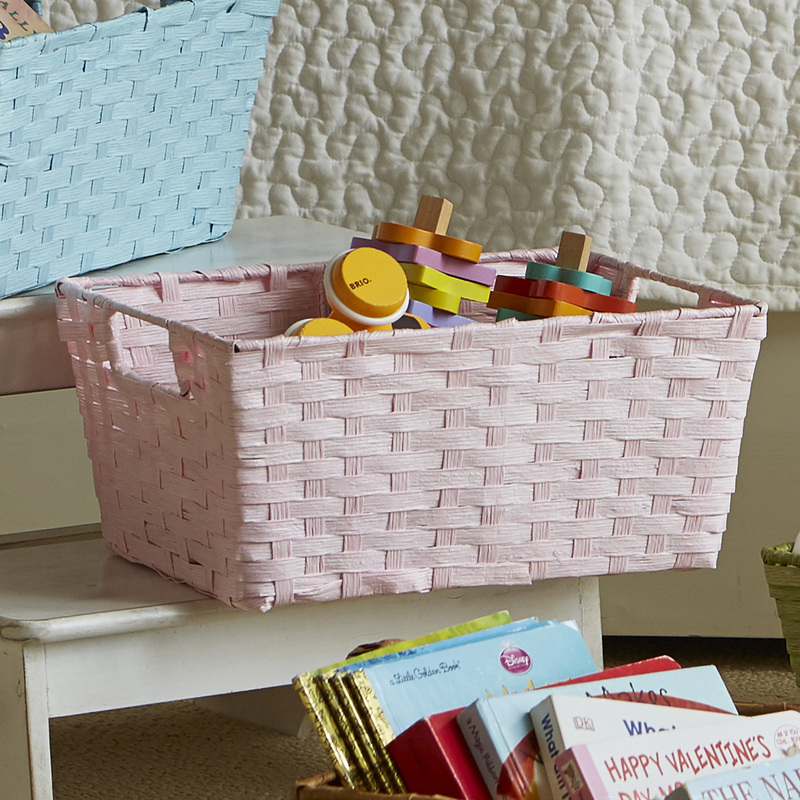 One person from each table will be able to take the basket home. 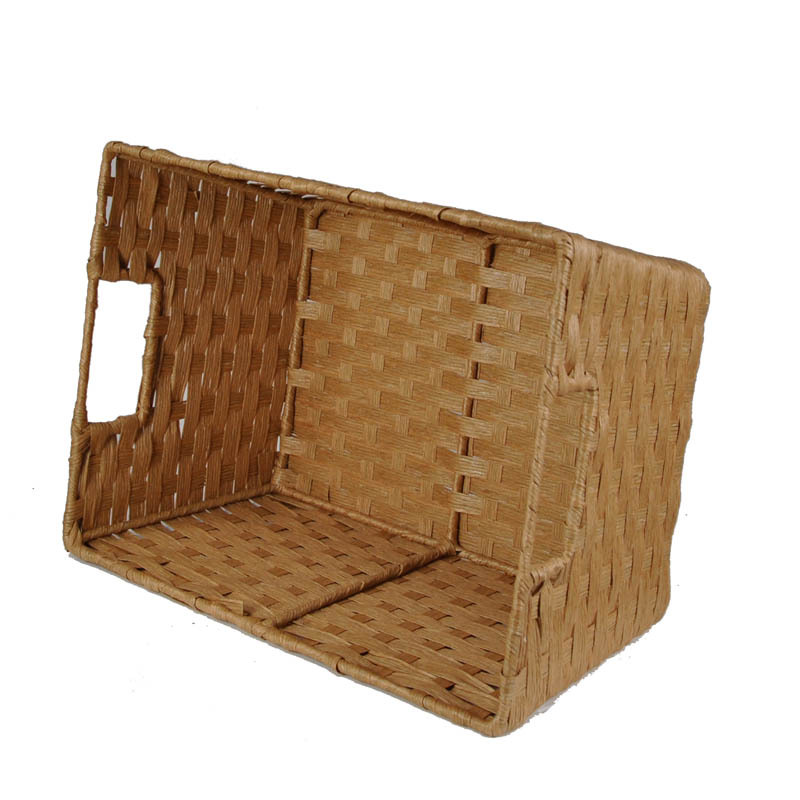 They will be filled with pasta products such as olive oil, vinegar, olives, pasta, small cutting board, coasters, and anything else that will fit. 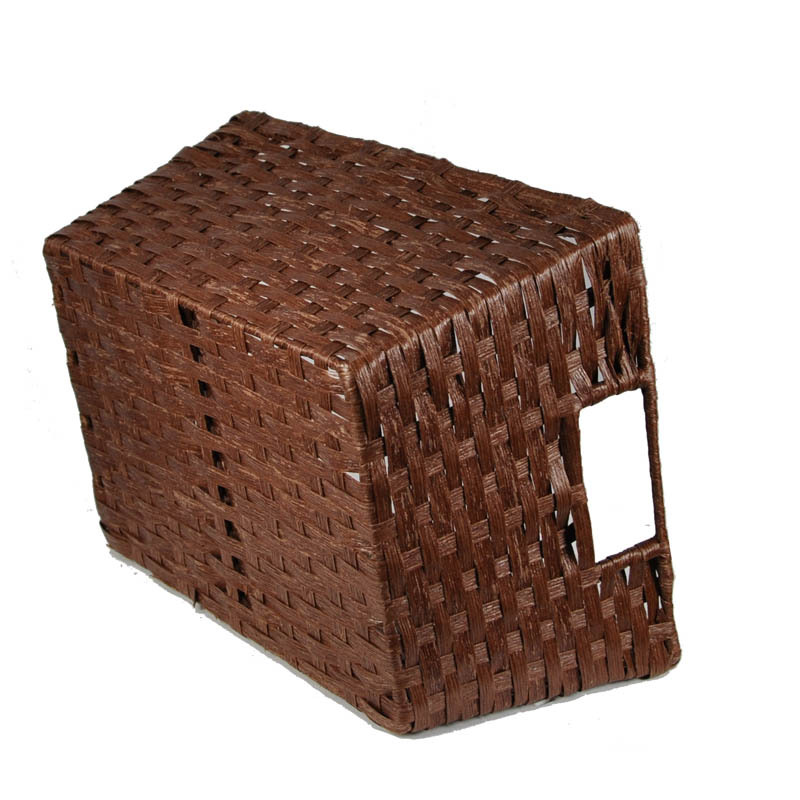 Great little baskets and great for my closet cubbies. Soft and no "stickers" to grab at sweaters. PERFECT and will order more.